A game related to Elevens, called Thirteens, uses a 10-card board. Ace, 2,..., 10, jack, queen correspond to the point values of 1, 2,...,10, 11, 12. Pairs of cards whose point values add up to 13 are selected and removed. Kings are selected and removed singly (so one at a time). There are 10 AP questions (with answers). Try them out. write Comparable for TwoDice which will the difference between these TwoDice with those its comparing. 2. The instructions must be for only one person. 4. The instructions can't require that the person remember the value of a card once they put it down. You can however use the space on the table however you like. Get course requirement sheet signed. Create instances (or try) of each class. Which can you not create instances of? In Dice, what method can you call directly? How did I make that method callable directly? In DancingAcrobat look at the code, which variable do you access which is not defined in that class. In DancingAcrobat, temporarily comment out the act method, what is the error? Why do you think the error appears? In Juggler, there are 2 juggle methods, what is the difference? What data structure do I use in AudienceDirector and why? 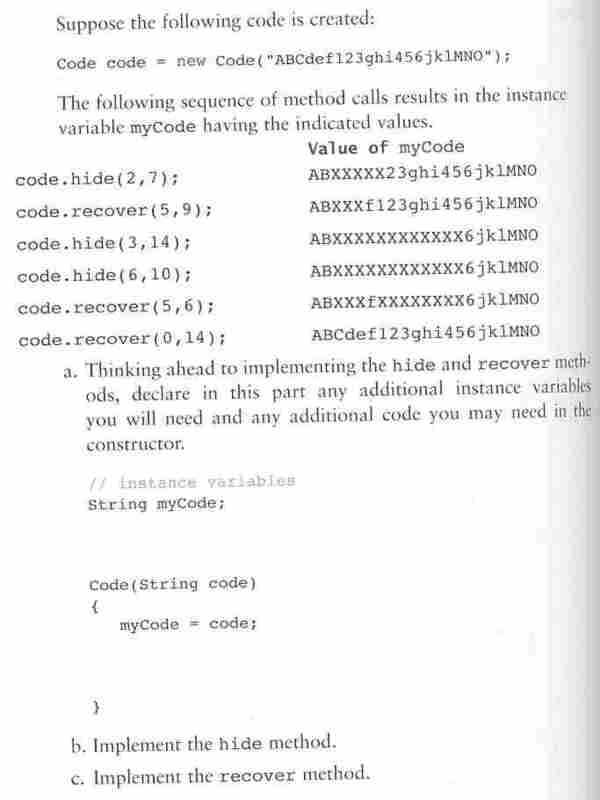 Using the answer above as reference, if I wanted to create the same data structure for a String, how would the code look? Notice in Producer how I declared the spinning and dancing acrobat. 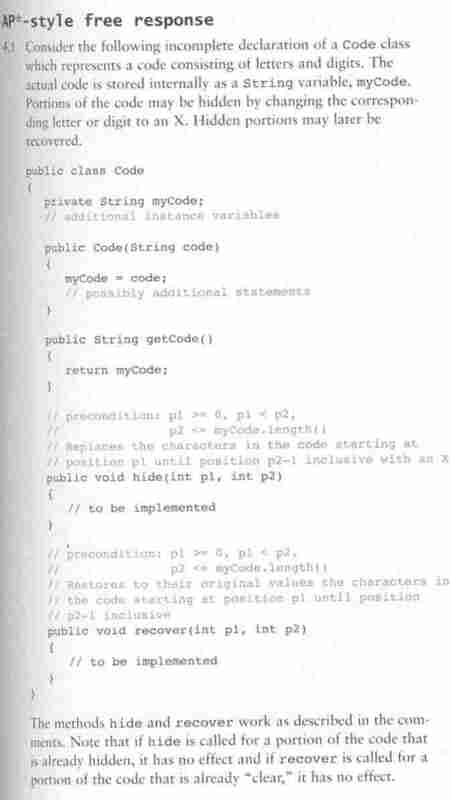 What type of variable are they known as?